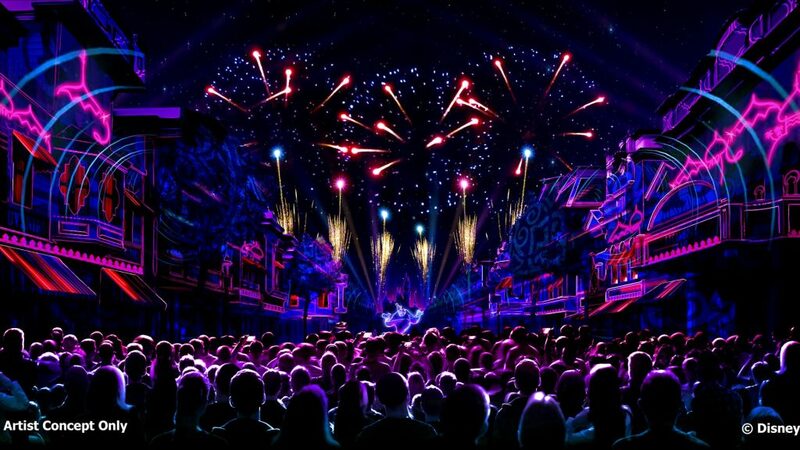 Disney has released a sneak peek video of the upcoming nighttime show Mickey’s Mix Magic coming to Disneyland tomorrow evening! The show features the new song “It’s a Good Time” (listen here), and some classic attractions and characters. Here’s a sneak peek of Mickey’s Mix Magic! Mickey’s Mix Magic clocks in at about 10 minutes in length and features a variety of movie characters such as Haunted Mansion, Coco, The Jungle Book, Frozen, Aladdin, and more. The music carries an EDM beat and remixes throughout the show in addition to projections along Main Street USA and the it’s a small world facade. Most of the projection mapping animation used within the show is original content instead of scenes pulled from shows or movies. 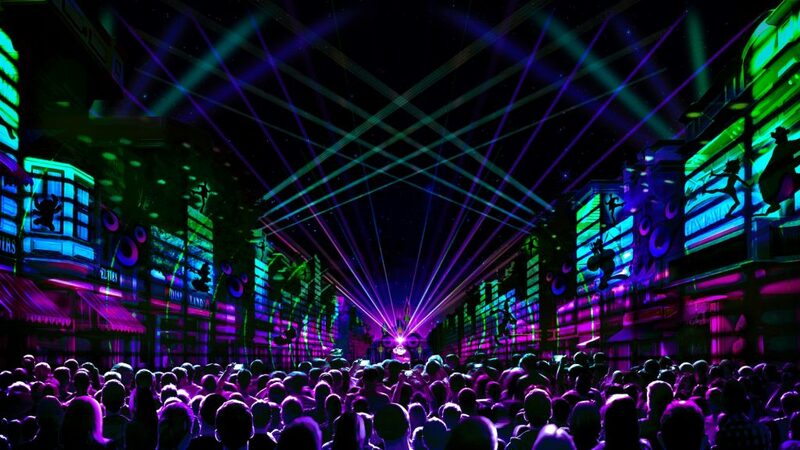 The show will also feature lasers that light up the sky with DJ Mickey spinning some new takes on some Disney favorites. Some of the remixed songs include I Wanna Be Like You, Friend Like Me, Un Poco Loco, Ev’rybody Wants to Be a Cat, Grim Grinning Ghosts, and Let It Go. On select nights, the show will be enhanced with the addition of fireworks. Guests visiting later this Spring will also be able to see the projections on the water screens along the Rivers of America when Fantasmic returns in March. Mickey’s Mix Magic debuts at Disneyland on November 18, 2019 and will usually start about 30 minutes prior to park close.